INDIANAPOLIS, IND. ─ Crown Moving & Storage, an agent for Wheaton World Wide Moving | Bekins Van Lines, will move the nonprofit organization Trusted Mentors into their new office on Thursday, December 14. The management and crew at Crown are generously donating their time, materials and expert services in support of this worthy cause. Trusted Mentors connects trained, volunteer mentors with at-risk adults to help more people stay housed and out of prison. In 2017 alone, the organization has mentored more than 250 adults participating in programs focused on homelessness prevention, re-entry from prison and aging out of foster care. The nonprofit is relocating from temporary offices at the PINBureau, 325 S. College, to a permanent home at 576 E. 17th St, Ste 102. With an expanded office area and training space to prepare new mentors, the new office allows Trusted Mentors to reach more people and change more lives. 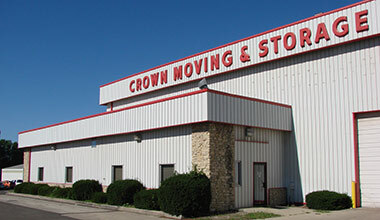 Crown Moving & Storage will pick up furniture donated by Eli Lilly & Co. at a warehouse as well as stored furniture from Trusted Mentors’ storage facility on Thursday and deliver it to the nonprofit’s new location.